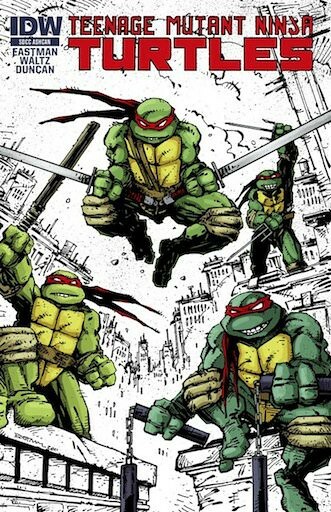 Free Comic Book Day 2011 (is coming)! 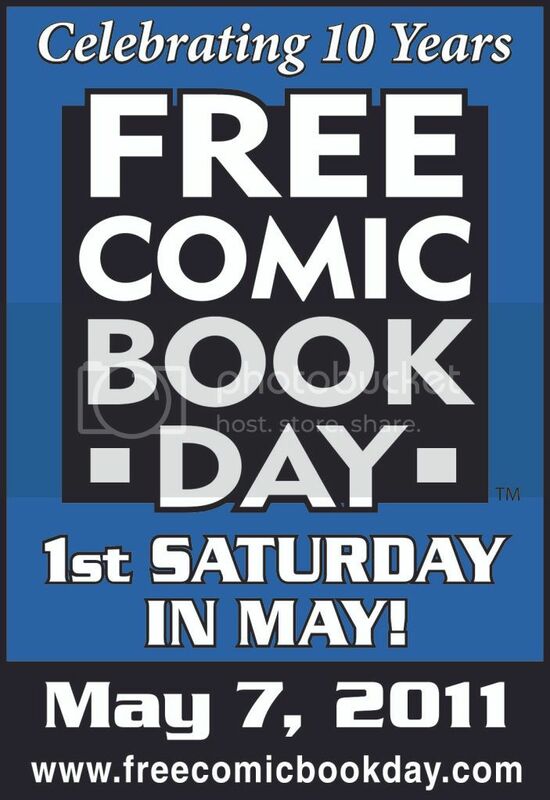 Logic states that any article regarding Free Comic Book Day should be written in order to glorify and promote. As the day in question is the first Saturday of May, one MIGHT logically write about it NEXT week, as it’s closer to the actual date so as to inspire participation…but this fails to take into account that people might have made plans for that day. By promoting Free Comic Book Day (May7th) two weeks ahead of time, it gives you gals and guys ample time to cancel any and all obligations that morning so that you can be here at Forbidden Planet bright and early to catch all the eponymous free comics! Sociologists would have you believe that the only reason we turn to comic books is for wish fulfillment…but would you be surprised to find out they can be right?! For example: Kevin Nowlan draws great comic books, Mike Mignola writes good comic books. I wish these two guys could get together and make a comic book for me to buy this week featuring aliens and mutated cows. THEY DID?! Well, wasn’t that thoughtful. The Hellboy: Buster Oakley Gets His Wish one shot written by Mr. Mignola and drawn by Kevin Nowlan promises to be a daringly bizarre Hellboy punch-em-up where the big guy goes toe to hoof with some alien ghoulies over livestock. I’m in! Marvel tells us that Ultimate X #4 will ship this week. Sure it will. I’ve only plugged it three times, and each solicitation fails to deliver. If the Gods of Comic Books indeed intend to smile on us this week I can recommend few books more than Ultimate X #4. Don’t know the characters? Don’t know the story? Not to worry! Art Adams art is some of the best in the biz…one look at those amazing pages and you won’t care what you’re reading! AND if you don’t care what you’re reading then I’ve got some great place mats from road side diners you can borrow. They aren’t drawn by Art Adams, so that’s a minus, but they do have fun facts about pirates and a partially completed search-a-word puzzle. Batman:Odyssey #5 is as classic as classic gets, with fan favorite Neal Adams returning to the iconic character that made him en ever popular artist. 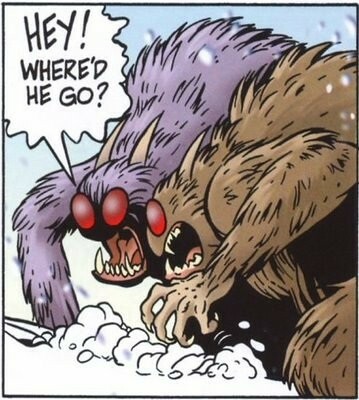 Amazing Spider-Man #649 has got some great talents behind it, too. Deadpool is going to fight Howard the Duck’s “break-out Super-Villain,” the amazing Doctor Bong, in Deadpool #29. It’s easy to find cool reasons to buy neat comics. It’s terrible when there’s comics you can’t buy…because they don’t exist! For example, Ape Entertainment has out Pocket God #3, the third thrilling issue of a comic book based on an iphone game. They also have out Megamind #1, based on the CGI movie that most likely took a brutal beating from Harry Potter this weekend. But where is my Harry Potter comic book? The Museum of Comic and Cartoon Art here in NYC is running an exhibition of the original art for the entire issue of Amazing Spider-Man #50, as pencilled by John Romita Jr. with inks by Scott Hanna, and to kick this puppy into gear they’re hosting an evening with Spidey editors past and present. In honor of our exhibition of original art from the entire issue of AMAZING SPIDER-MAN #50 by J. Michael Straczynski, John Romita Jr. and Scott Hanna, MoCCA presents an unprecedented roundtable discussion of the past quarter-century of all things Peter Parker with the editors who have helmed the title since the Reagan Administration! Axel Alonso (editor of ASM #50), Tom Brevoort, Danny Fingeroth, and MoCCA Trustee Jim Salicrup join current AMAZING editor Steve Wacker for the panel chat and audience Q&A. Moderated by MoCCA Trustee and current Spidey scribe Fred Van Lente. 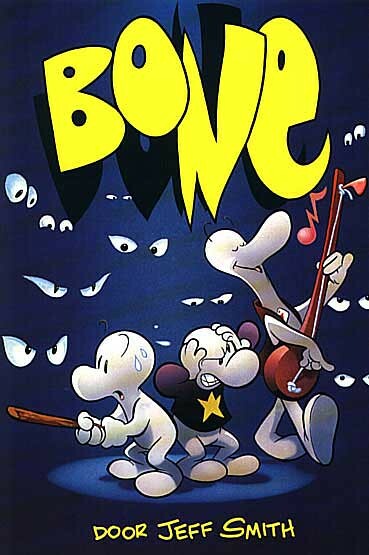 In addition to this MoCCA’s also running The Art of Archie Comics (both thru 2/28). It’s only a few blocks from Forbidden Planet, so I encourage comic fans of all stripes to visit us both this coming Thursday. “Spoilers” are like being buried up to your neck in sand, and having honey poured on your face to attract passing ants. I mean, most people don’t want it, but for a few folks “it’s their thing” and they’re welcome to it… just keep it off my web browser! Still, there is a certain amount of fun in knowing things others don’t, but why do we need to have the actual intellectual properties we love ruined for that pleasure? NOT anymore, we don’t! Introducing Unkiedev’s “SpoilerSpoilers.com!” We will NEVER spoil any of your favorite comic books, TV shows, video games and movies, but we WILL tell you WHO WILL and WHEN!